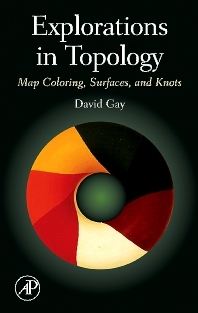 Explorations in Topology gives students a rich experience with low-dimensional topology, enhances their geometrical and topological intuition, empowers them with new approaches to solving problems, and provides them with experiences that would help them make sense of a future, more formal topology course. The innovative story-line style of the text models the problems-solving process, presents the development of concepts in a natural way, and through its informality seduces the reader into engagement with the material. The end-of-chapter Investigations give the reader opportunities to work on a variety of open-ended, non-routine problems, and, through a modified "Moore method", to make conjectures from which theorems emerge. The students themselves emerge from these experiences owning concepts and results. The end-of-chapter Notes provide historical background to the chapter’s ideas, introduce standard terminology, and make connections with mainstream mathematics. The final chapter of projects provides opportunities for continued involvement in "research" beyond the topics of the book. Upper division, junior/senior mathematics majors and for high school mathematics teachers; individuals who are interested in innovative approaches to the teaching of advanced undergraduate mathematics; mathematicians/mathematics educators interested/specializing in curriculum development.